Throughout his pro career he has won multi day stage races along with being top 10 in USPRO crit championships and top 20 in USPRO road championships multiple times. Competed in races such as Tour of California, Tour of Missouri, An Post Ras, and Tour of Taiwan. During his racing career he picked up coaching athletes after discovering the excitement of the science behind power training. He also spent a year as an assistant coach at his alma mater Marian College coaching athletes on the track and the road. 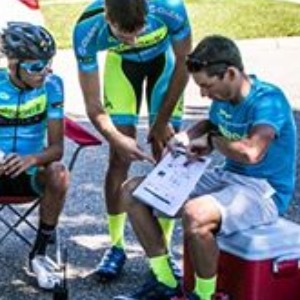 Jake has moved his focus from being a pro bike racer to a pro cycling coach. Currently Jake coaches with FasCat Coaching along with directing the Domestic Elite Team Bissell ABG Giant. He has coached athletes to personal bests, state and national championships. A person who has a goal or an achievement they would like to make. Success. Coach Jacob Paul Rytlewski has been notified of your message.